What happens if we replay evolution? Do things turn out the same way or do random events lead to evolution taking a different trajectory? Volcanic crater lakes provide excellent natural laboratories to test this, and the seemingly parallel evolution of their Midas cichlid fishes has been a research focus of Dr Kathryn Elmer for many years. A lecturer in the Institute, Kathryn’s research takes an integrated genetic, genomic, and ecological approach to understanding evolution. The eminent biologist and paleontologist, Stephen Jay Gould, once argued that if you ‘rewound the tape of life’ and let it all replay again, up to the present day, we would have a world quite different than we do now. His idea was that because so many chance and contingent factors contribute to the evolution of world we live in, the likelihood of it all turning out the same again are vanishingly small. From the building blocks of deepest early life, to the timing and location of falling asteroids, to the rise of mammals, it could all be a different world. Yet looking at the biodiversity around us, at shorter evolutionary time scales some patterns do seem predictable. Whether anticipating the next flu vaccine or seeking to draw basic theories of the distributions of organisms, clearly there are some repeated patterns in nature. Identifying the mechanisms underlying biological patterns has led to theories of biogeography, evolution by natural selection, population genetics, and molecular evolution, among others. Research on the ‘parallel evolution’ of organisms in similar, but separate, environments aims to understand how and when evolution follows repeated (or repeatable) patterns. 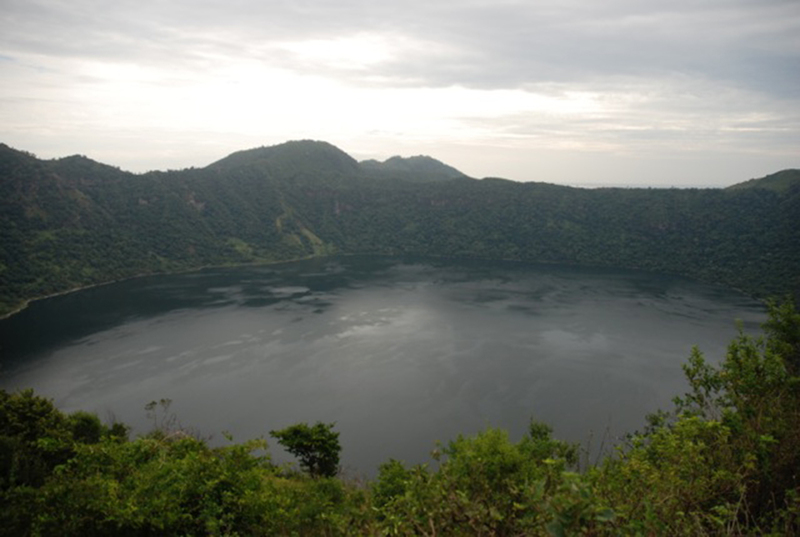 To study this I focus on the fishes found in the volcanic crater lakes of Nicaragua, a country in Central America. My primary research focus was on cichlid fishes, which are a freshwater fish that is distributed across the world’s tropical regions. Crater lakes are formed in the wake of large volcanic eruptions – as the magma chamber empties they are unable to support the weight of volcanic rock above, causing a collapse. This leads to the formation of calderas, cauldron-like formations, which slowly fill with water to form a new, isolated lakes. With steep sides covered in vegetation and no streams flowing in or out, crater lakes provide a relatively controlled environment – a natural laboratory, if you will – where ecological and evolutionary trajectories can run their course, and evolutionary questions tested. Owing to their isolation, crater lakes tend to be barren, but they are home to a few species. How all these species, including fish, get in the lakes remains a bit of a mystery, but from studies on the age of the lakes, we can calculate the number, and timing, of colonisations. 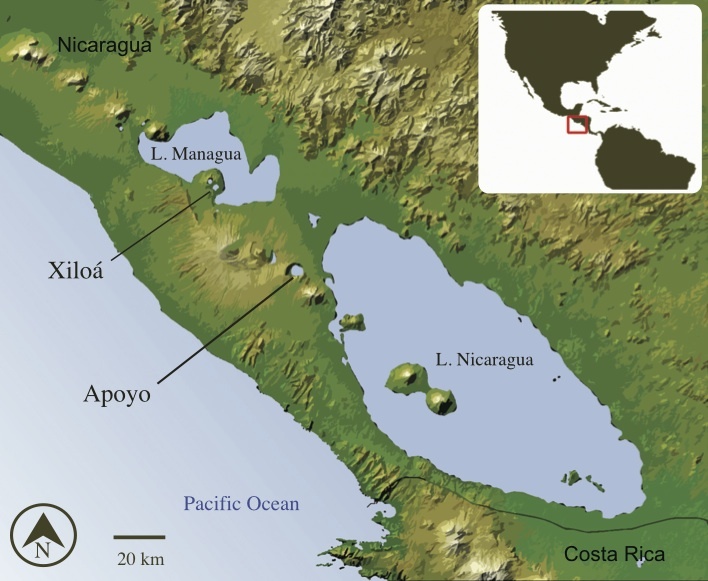 We know, for example, that the Midas cichlids in all crater lakes come from the nearby Great Lakes of Managua and Nicaragua. For fish, a key feature of these crater lakes is their depth. Long, sloping, cone-shaped shores provide plenty of ecological space that fish can use for foraging and specialising upon prey – this is considered their ecological niche. These niches might range from the rocky lake bottom where fishes forage for algae and snails amongst the nooks and crannies, to the deep open water of the lake, where fishes hunt fast-moving invertebrates and other fish using their speed and sight. In my research I wanted to find out whether fishes were evolving to use the same niches, and in the same ways, across crater lakes. 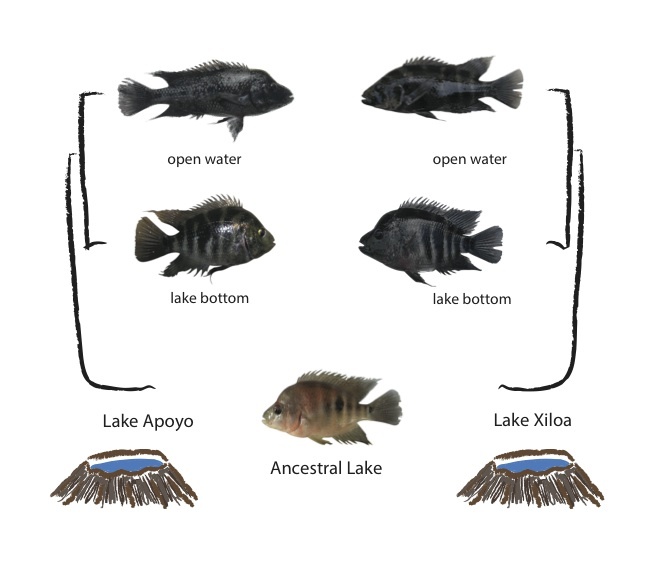 In early work I had shown that two of Nicaragua’s crater lake Midas cichlid populations were particularly interesting because they housed very similar looking species; Apoyo, which is the largest, oldest lake at about 5 km across and 21,000 years old, and Xiloá, which is a bit smaller at 2 km across, and only about 6,000 years old. Every morning we arrived at the lakes and set gill nets to collect fishes. Sometimes, on Xiloá, we had a powerboat to zip around in, but in Apoyo motors are prohibited, so we would paddle across the lake and back each day. At some sites, we even swam across with the nets, or floated in a small dingy. Yet it was worth all the effort – over two trips with colleagues we collected hundreds, if not thousands, of fishes. We sampled our catch for DNA, stable isotopes, stomach contents, jaws, and morphology, and added to these some photos and tissues from earlier studies by the lab. We built up the data set to include the combination of traits that relate to ecological niche – reflecting diet, swimming style, and ecology overall. I found that, combining across all these traits, there is a consistent and parallel ecological divergence across the two groups of species in the two crater lakes. This reflects how highly correlated these different traits are: fishes that are adapted to the rocky lake bottom are high-bodied (tall and slim), improving manoeuvrability, and have strong jaws for crushing and eating snails. Fishes that occupy an open-water niche, meanwhile, are more elongated for speed and agility, and eat more insects, algae and other fishes. Next I wanted to find out about the evolutionary history of these parallel groups of species. Had some species – which our results found to be so similar in both lakes – somehow migrated between the two crater lakes? Or had each group of similar looking species arisen independently? We took two approaches to studying the genetic patterns, and both pointed in the same direction. First, the genetic data showed that the open-water and lake-bottom species had evolved independently within each separate crater lake. It also showed that the evolutionary patterns of age and diversity of Midas cichlids in the two crater lakes were different. These results suggest that the strength of natural selection for fishes to diverge along water depths is very strong and can happen quickly – here on the order of a few thousand generations of evolution. 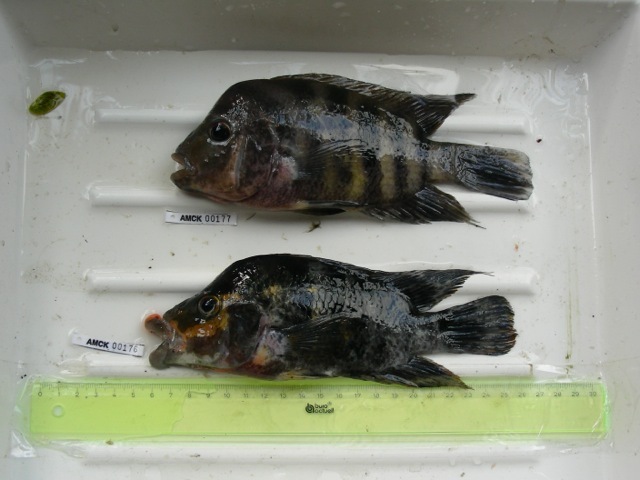 Overall, we showed that there is a parallel, repeated pattern to the evolution of Midas cichlid species in these lakes. In this case, it seems that replaying the tapes has in fact resulted in the same end point but the music on the way there played differently. What would Gould say to that? I think he would love that his ideas are being put to the test and evolving: “The most erroneous stories are those we think we know best – and therefore never scrutinize”. 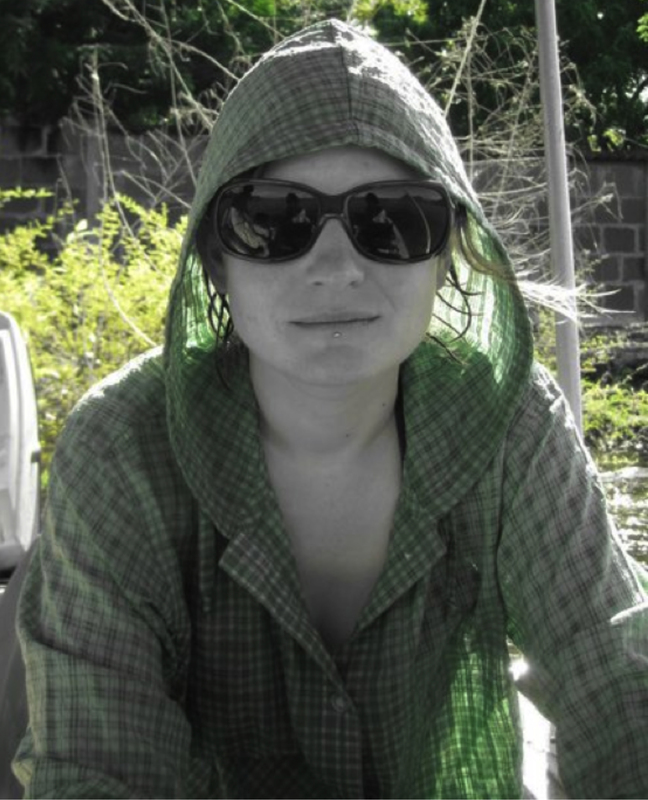 Find out more about Dr Elmer’s research on her lab blog. Acknowledgements: This work was primarily done during my Alexander von Humboldt and NSERC postdoctoral fellowships with Axel Meyer at the University of Konstanz, with collaboration from colleagues in the lab: PhD students Shaohua Fan, Henrik Kusche, and Maria-Luise Spreitzer, Masters student Andi Kautt, and postdoc Paolo Franchini. Photos from K. Elmer, A. Meyer, H. Kusche, M. Pierotti, ML Spreitzer. Thanks to the Naturally Speaking Team, especially J. Burgon, J Caryl and J. Buckley for major contributions to writing this post.